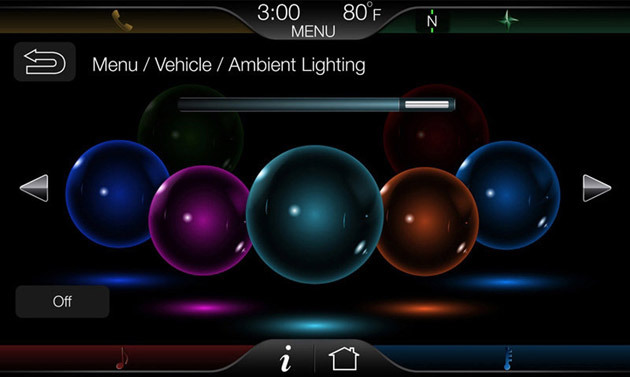 Read nextIn-car infotainment: Will Android dominate the new tech battleground? By now, the illustrious â€œfourth screenâ€ is a common term–that of the mobile device, still the holy grail for media companies and advertisers. At the North American International Auto show(NAIAS) in Detroit, it became clear that the era of the â€œfifth screenâ€ is upon us: The one inside peopleâ€™s vehicles.Â Unfortunately for consumers, these “mobile” systems tend to have substantial usability problems. Ford, once known for classics like the Mustang, Cobra and GT then emerging with the family-friendly (and dull) Taurus in the 1980s and the Explorer in the 1990s, is helping to lead the charge. It is difficult to imagine that even budget-priced vehicles will soon have touch-screen GPS, internet and music coming standard, but that seems to be the case. 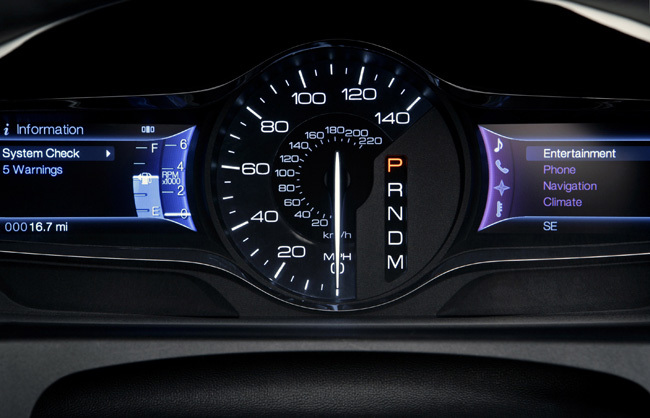 Though Touchâ€™s presence in so many vehicles has been billed by Ford executives as a game changer, that doesnâ€™t mean the system is a marvel.Â Itâ€™s not. Based on a demo at NAIAS, the system has some handy features (and much improved from its first iteration) but still lacks an intuitive operating system.Â Our demonstrator touted the different ways the system can be accessed:Â Touch screen, voice and steering wheel console. But as Consumer Reports published, more isnâ€™t always better.Â Multiple options for access can be freeing, but it can also be confusing.Â The voice recognition technology gives a hands-free option for getting directions or changing the music, but it doesnâ€™t work that well. Unfortunately, Ford hasnâ€™t mastered the ever-elusive voice recognition problem. 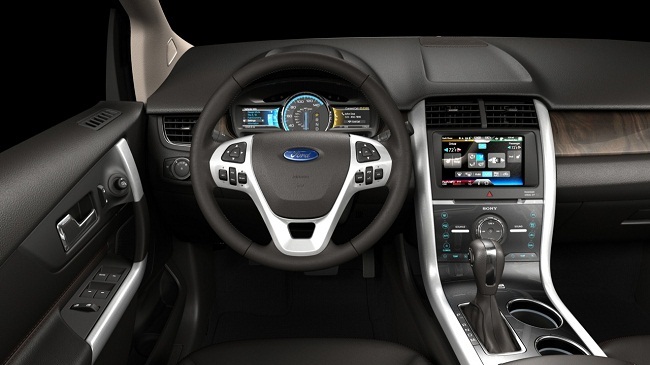 The technology, which features screens in the dashboard and center console, is built on Microsoftâ€™s SYNC platform.Â Ford has built some of its own tech and cobbled together the rest from several vendors, including TelNav for navigation and Nuance Communications (working in tandem with Tellme) for voice recognition. In the field, it appears, Nuanceâ€™s voice recognition technology will still have its hiccups.Â Though Fordâ€™s system now recognizes about 10,000 voice commands, allowing users to find local restaurants, set the temperature and make calls without pressing a button, it wasnâ€™t able to understand a request to find a barbeque restaurant nearby. It required the demonstrator to repeat herself several times, leaning closer to the microphone with limited success.Â At one point, the system appeared to become overwhelmed by the demonstratorâ€™s commands, defaulting to alternate search options. Later, as we drove a vehicle equipped with Touch on Fordâ€™s Test Track in Dearborn, Michigan, the system was unable to understand most of our voice commands without repeating ourselves several times. This is particularly problematic because Ford CEO Alan Mulally used his NAIAS keynote speech to stress the value of voice commands for using Twitter and playing music on Pandora while driving. 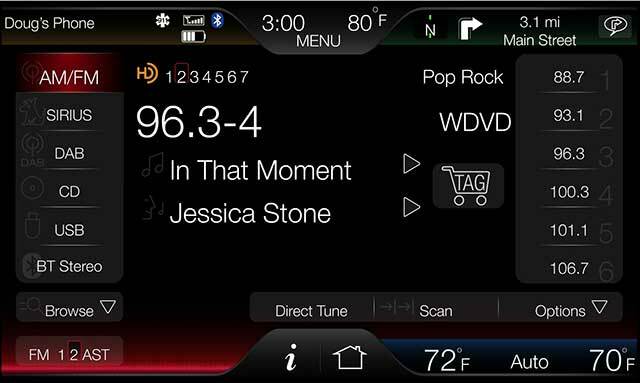 The company is slowly rolling out AppLink to its vehicles’ screens, which will tie smartphone apps to MyFord Touch. Indeed, several automakers are betting that consumers will want to engage with social media on the road.Â While they may be right, the technology will have to be dead simple if people are to do so without crashing the car. To be fair, AppLink’s Twitter functionality does look impressive, but we have to wonder if it would work as well over the noise of driving. Of course, Ford is not alone in its limitations.Â Toyotaâ€™s onboard navigation system is slow and obnoxious to use, for example. The company is trying to remedy that by introducing a new system, Entune.Â It uses Bing for search and INRIX for navigation. BMW, making a wiser choice, selected Google to provide its search functionality on ConnectedDrive. 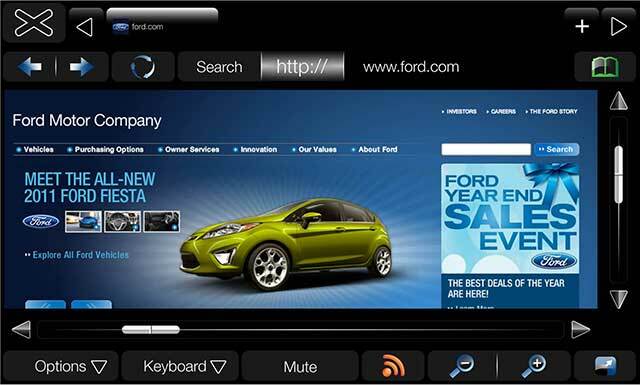 MyFord Touch isnâ€™t all bad, though, giving hope for future generations of fifth-screen technology.Â The system allows owners to create a mobile hotspot inside their vehicle, connecting passengersâ€™ laptops or mobile devices. The company also rolled out an app called MyTouch Mobile, built to connect smartphones with the new Ford Focus Electric. Down the road, automakers may be able to build more intelligent onboard systems, creating a more flexible hands-free experience.Â That would require a vastly superior voice recognition system and a more flexible search platform, as well as an evolving, cloud-based library of places, commands and consumer reviews. After all, what good is a navigation system that doesnâ€™t understand where you want to go?Â And what good is an information system that doesn’t harness the full power of the Web?